Lindisfarne Island is one of those places that either gets you right away or it doesn't ever. If you can visit out of season, or see beyond the waves of coaches crossing the causeway then you might understand what possessed St Aidan and his followers from Iona to set up shop in a place that is cut off from the mainland twice a day by the tide. It is a place that is all about perceptions, including but not limited to the causeway, the castle that isn't, the long lonely stretches of sand dunes and the wonderful garden that you will most likely miss unless you spot it from one of the castle's upper windows and go looking for it once you're back at sea level. Visiting Holy Island is not like visiting other places. If you don't want to be caught out by the tide, your visit needs some planning. So the first thing you should do is check safe crossing times and then decide when you wish to visit. Tide tables and safe crossing information can also be found in all the tourist information offices in the area. And most hotels, guest houses and B&Bs hold them as well. Alternatively, you could stay on Holy Island itself. There's plenty of good accommodation available and you can explore at your leisure. Allow at least 4 hours for your visit, at that rate you may even want to come back for a second look. And if you want to see the place a little more like it might have been when St Aidan and his monks worked and lived on the island, then avoid the height of the summer and the school holidays. The island is famous for its association with St Aidan and St Cuthbert, but humans have lived here long before the first Anglo-Saxons named the island Lindisfarne. St Aidan - coming from the community of Celtic Christians in Iona - built the first monastery here in 635AD to work as missionary amongst the Northumbrians. The time of Early Christianity was very much a time of study and contemplation. Books - and the wisdom contained within them - were precious commodities, highly prized by abbots and kings alike. Books were written and copied by hand, decorated with exquisite illustrations, bound in finely worked leather, metal and gemstones. The Lindisfarne Gospels, an illuminated manuscript of great beauty, show the level of devotion and craftsmanship achieved on the island. Probably produced for St Cuthbert, they survived the Viking attacks of 793 and all subsequent strife. And while the original is in the British Museum, you can admire a very good copy in the island museum and learn about the history of the island and the threat posed by the Viking invaders. After the Norman Conquest the island fell to the Bendictine monks of Durham, in whose shrine St Cuthberh lay buried. Continuing the tradition,they built the second monastery here. 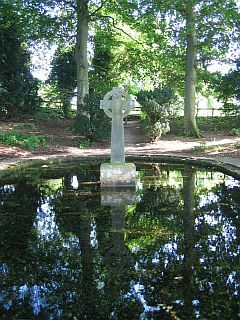 While St Aidan's foundation had suffered greatly at the hands of the Vikings, the Benedictine house was caught in the endless wars between England and Scotland. It was eventually dissolved by Henty VIII in 1536, but its ruins still stand on the island, hinting at the sight it may once have presented. One of the most distinctive features of the island, the small castle - built in 1550 to defend the area from Scottish and Spanish attacks - can be seen for miles along the Northumbrian coast. But when you step inside - the property is managed by the National Trust and can be visited - you'll see little evidence of a Tudor castle. Instead, you'll step into all the charm and novelty of an Edwardian weekend retreat. Sir Edwin Lutyens took on the task to convert the Tudor fort in 1902 and made a success of the tiny rooms, narrow passages and outstanding views. But the best feature of the design - for me at least - is not actually in the castle. And unless you visit the castle and admire the views, you may actually miss it. In 1911, Gertrude Jekyll redesigned the castle's walled vegetable garden into a small jewel box. Huddled in the shelter of the dunes and almost impossible to see from ground level, it's one of the most amazing things I've ever found! Planted in silvers, gold and mauve, the garden contrasts beautifully with the landscape and - looking back out - the rugged castle, perched atop its outcrop of volcanic rocks. Beyond the castle and its tiny garden lie the dunes of the island's nature reserve. Birdwatchers visit here to study both breeding and migratory birds, but the softly rolling landscape of sand and grasses can also form a peaceful backdrop for an afternoon stroll. Make sure you also visit the island's harbour, where boats still land the daily catch of crab and lobster, and St Aidan's Winery, where you can sample an ancient (and recently revived) local delicacy: Lindisfarne Mead. The best way to see Lindisfarne - and to really catch its spirit - is to rent a cottage on the mainland and make your way across at low water whenever the fancy takes you. 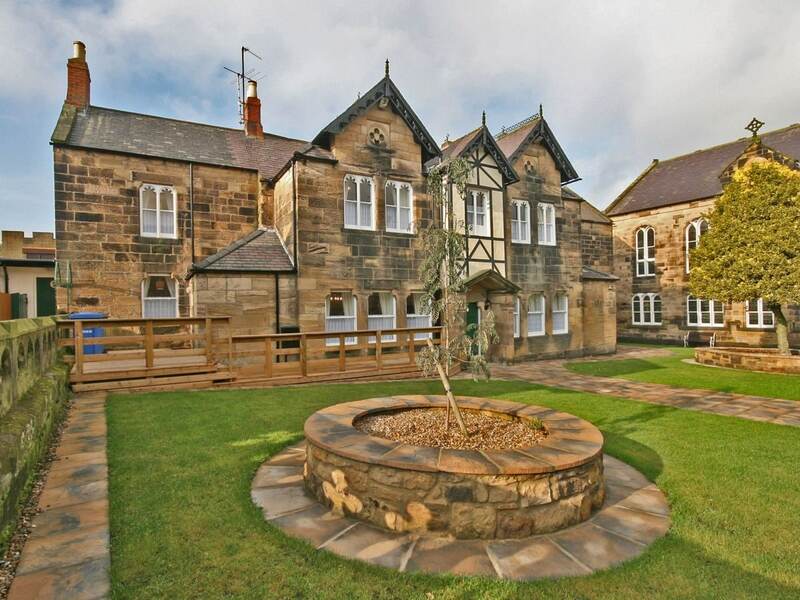 Check out the vast selection of holiday cottages in Northumberland here. 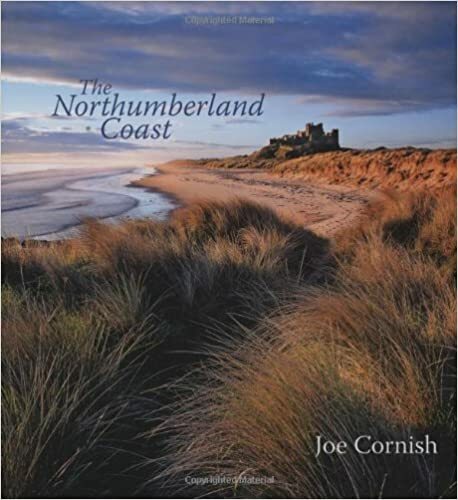 Are You Planning to Visit Northumberland? There's a reason Northumberland is one of my favourite English counties. Its landscape is utterly gorgeous with long beaches and empty sweeps of hills that just beg to be walked. In between you can find small towns and pretty villages, conntected by lanes that are great on the bike as long as you have the legs for climbing. And there are holiday cottages to suit all tastes and budgets. 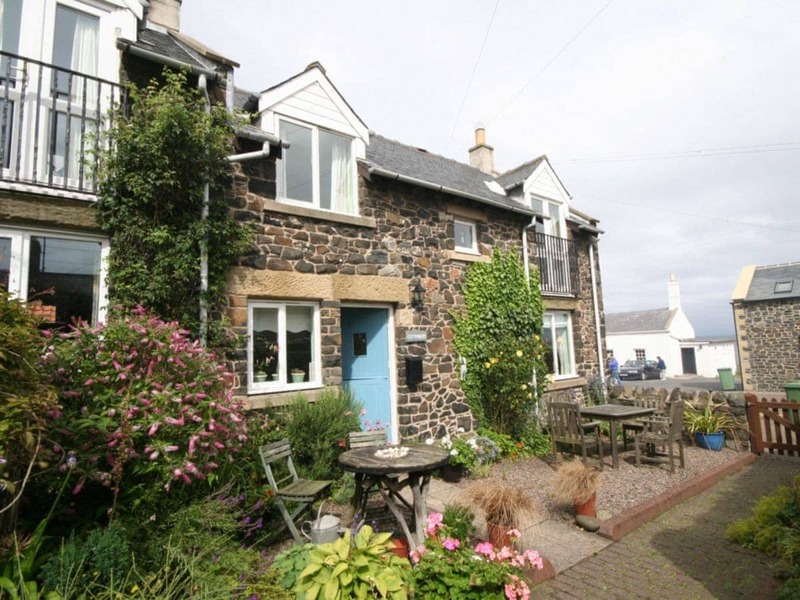 To see other holiday cottages in Northumberland click here. 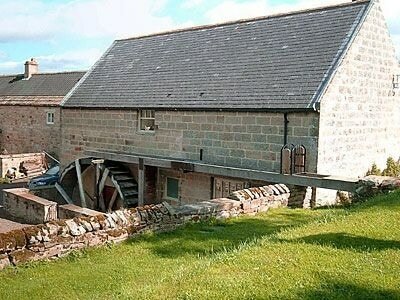 Or check out holiday cottages in other parts of England by clicking here. Even if you stayed a month, you'd find that you don't have enough time to explore the county top to bottom and see everything it has to offer. There's plenty of history from Hadrian's Wall near Hexham to Lindisfarne in the north with reams of castles and ruins in between. There are beaches and seaside towns like Craster, Alnmouth and Seahouses - and some of the best fish & chips in all of England. There are market towns like Haltwhistle, Rothbury, Bellingham, Berwick, Warkworth and Harbottle to explore. And there are hillsides to climb and the great outdoors to enjoy. Cycling in Northumberland - my favourite tandem tour EVER! 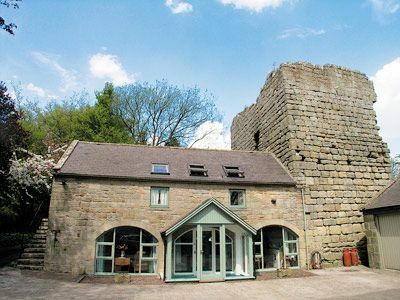 And if you want to explore more of Northumberland and its martial history, check out this Northumberland Castle Tour. 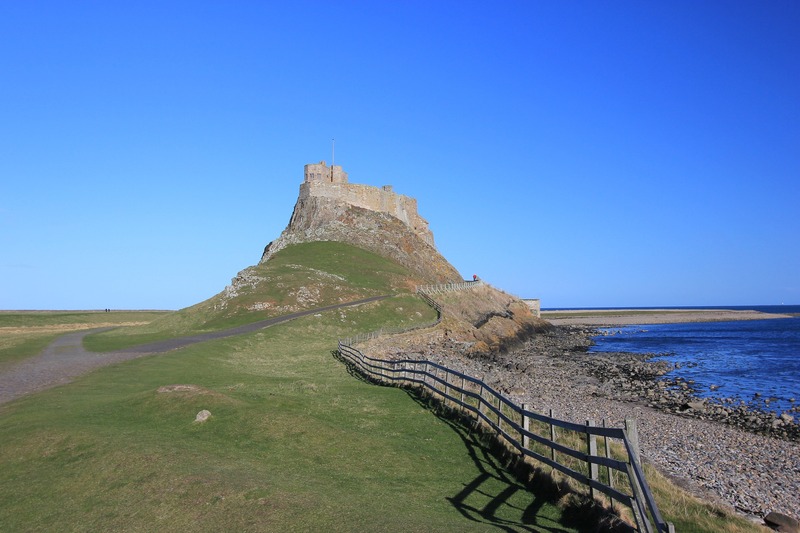 For other places to explore in this beautiful county, return from Lindisfarne to the Northumberland page.